There are many things to consider when it comes to finding the right home health care. At Value Care our job is to relieve your concerns. Our goal is to find our clients compassionate care at a reasonable price; Pay Less, Get More Care! 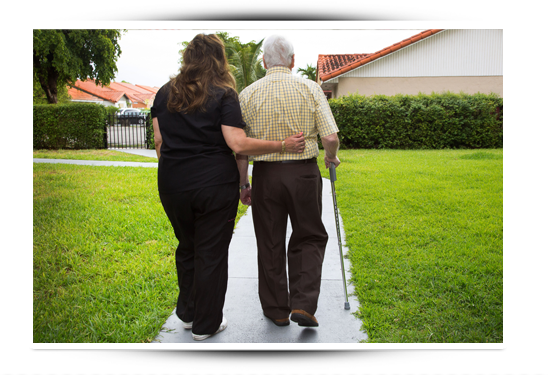 We offer caregiver referral services to South Florida, including home health care in Jupiter and surrounding areas. We are locally owned and operated and have offered home health referral care services since 2007. Our passion is finding caring and competent home health caregivers for those in need. We connect people in need with compassionate caregivers. These relationships are made possible because of innovative programs, including our First Day Satisfaction GUARANTEE. Because of our large pool of qualified caregivers and our commitment to your budget, Value Care refers caregivers as the most affordable costs. With Value Care, the best care plan is in your hands. You have the freedom to determine the schedule and type of care that works best for you. If you are looking for around the clock care, a few days of care a week, or anything in between, we’ll refer the right professional caregiver for you. We do not just offer great value. We also offer great quality. We thoroughly screen every caregiver who applies to register with us. While we perform legal background checks and certificate verification, we also employ our own process for additional screening, which we call our FIVE STAR PROMISE. This series of tests and screening procedures ensures every caregiver we recommend is better qualified, and experienced. As a leading Nurse Registry, Value Care is better positioned to connect our clients in Jupiter, Jupiter Island and the surrounding areas with the right professional caregivers. Using our Care Match Program we take the time to listen to your individual needs before referring caregivers to you. By following these steps we can confidently refer their services. We actually do more than just screen their qualifications… we guarantee it! Our First Day Satisfaction Guarantee ensures that you are 100% satisfied during their first visit and beyond. We keep in close contact to be sure you are happy with your choice.